If your dog could say it aloud, they would! 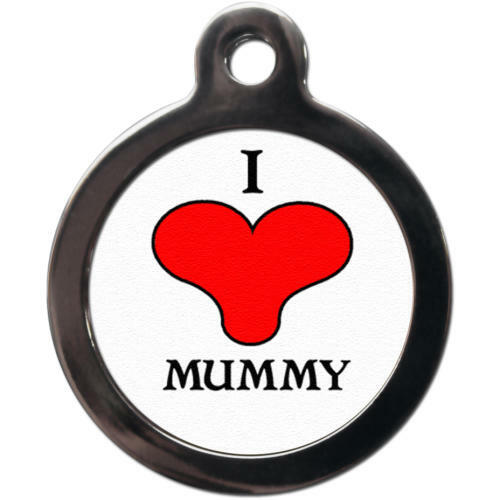 So help them express their love for their mummy with this cute PS Pet Tags ID tag. With enough room on the back for 4 lines of 25 character text, you can add their Mum's contact details on the back so they can safely be returned if they've gone wandering alone.